I first saw the earth — the whole earth — from the shuttle Challenger in 1984. The view takes your breath away and fills you with childlike wonder. An incredibly beautiful tapestry of blue and white, tan, black and green seems to glide beneath you at an elegant, stately pace. But you’re actually going so fast that the entire map of the world spins before your eyes with each 90-minute orbit. After just one or two laps, you feel, maybe for the first time, like a citizen of a planet. We could use more global citizenry these days. 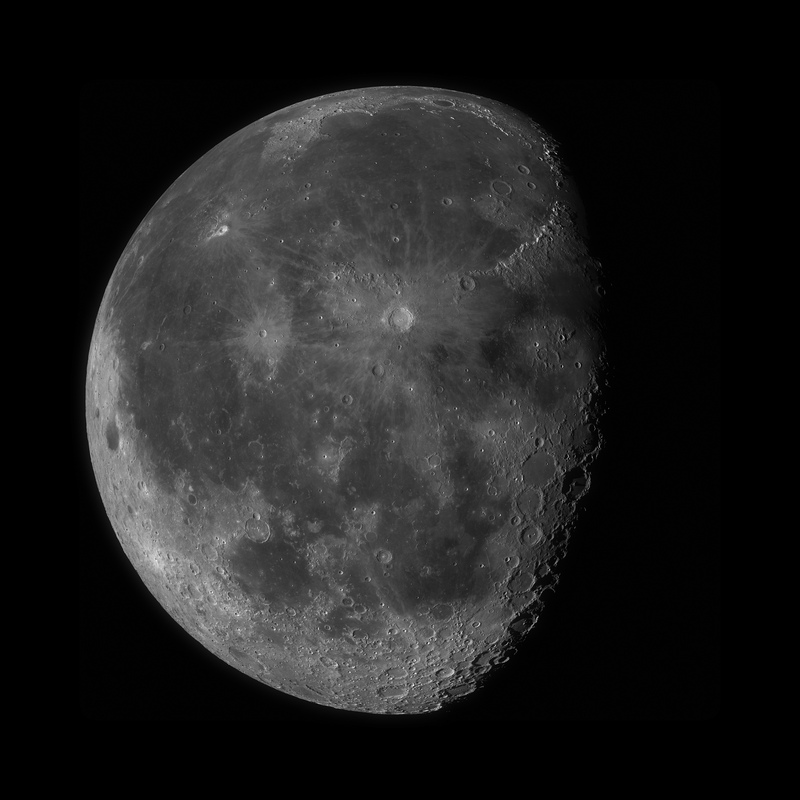 LRO WAC images have a resolution of about 100 meters per pixel over a swath of about 60 km of lunar surface (using what’s called the pushbroom technique, similar to how a flatbed scanner works). They are usually taken straight down, toward the spacecraft nadir (the opposite of the zenith). To get the correct perspective for the Moon as a globe, Doran took the images, along with altimeter data, and mapped them onto a sphere. That way features near the edge look foreshortened, as they really do when you look at the entire Moon. He also used Apollo images to make sure things lined up. So the image isn’t exactly scientifically rigorous, but it is certainly spectacular. The image is also available at Gigapan for easier exploration.